Legislation narrowly passes initial reading with support of two coalition MKs apparently break party lines; coalition whip says they were permitted a vote of conscience. Lawmakers on Wednesday gave their initial approval to a bill prohibiting discrimination on the basis of sexual orientation or gender identity, a law that would widen the scope of all previous anti-discrimination legislation. Thirty-seven MKs supported the motion, with 36 voting against. Likud MK Amir Ohana and Kulanu MK Merav Ben-Ari from the ruling coalition appeared to break party lines and voted in favor of the legislation, helping it achieve a paper-thin majority. 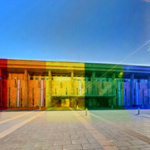 Both lawmakers have identified with the LGBT community and previously voted in favor of legislation supporting it: Ohana is Likud’s first openly gay MK; Ben-Ari last year gave birth to a child with a gay friend, with both raising the baby in the form of shared parenting. 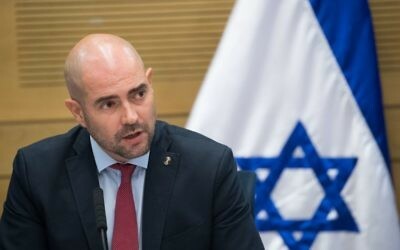 While the Ministerial Committee for Legislation, which sets the government’s position on Knesset bills, ruled on Sunday that coalition MKs must vote against the bill, coalition chairman David Amsalem denied “losing” the vote, claiming that MKs were permitted a vote of conscience. 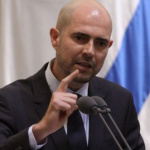 Pressed as to when he told Knesset members that they had the freedom to vote as they wished without the fear of disciplinary measures, Amsalem said that he had personally told Ohana and Ben-Ari that they could vote against the bill. 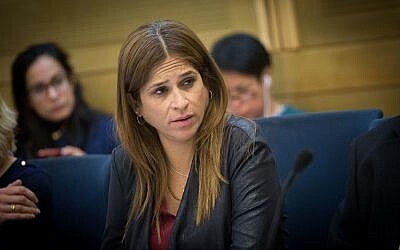 Neither Ohana nor Ben-Ari immediately responded to a Times of Israel request to clarify whether they had been in contact with Amsalem before the vote. Ohana, a freshman MK and gay rights activist, wrote on Facebook after the vote that the law was “good,” and that the coalition’s traditional stance against bills promoting LGBT rights only represents the “veto power” held by MK Yaakov Litzman, head of the ultra-Orthodox United Torah Judaism party which staunchly opposes such legislation, rather than the actual opinion of most of its members. The amendment to current law was proposed by MKs Michal Rozin of Meretz and Dov Khenin of the Joint List party. When it became clear to the assembled lawmakers that the law was going to receive enough votes to pass, members of the opposition cheered and hugged one another.